Ariana Grande at Wango Tango. It’s shaping up to be a summer of teases from 24-year-old pop star Ariana Grande. Last week, she previewed a new track, “The Light Is Coming,” from her forthcoming album, Sweetener, on her social-media accounts. On Saturday night, ahead of her performance at 102.7 iHeartRadio’s KIIS-FM Wango Tango in Los Angeles, Grande spoke on air with radio host JoJo Wright, telling fans to expect more details about her forthcoming album, Sweetener, later this month. “On June 20, I’m gonna to be dropping the preorder from my album and also ‘The Light Is Coming,’ which features my big sis Nicki Minaj,” she said. In early May, Grande told Jimmy Fallon on The Tonight Show that she will be “doing something special” on the 20th of every month until her album release, which has fans speculating an album drop on July 20. 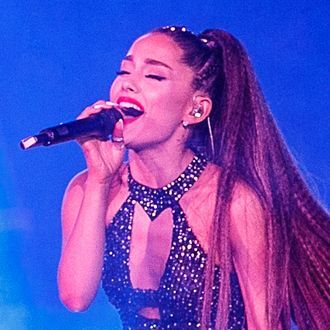 At the Wango Tango, Grande performed the first single off her new album, “No Tears Left to Cry,” and, true to form, only part of “The Light Is Coming” — “I’m not doing the whole song. I’m doing a little chunk of it,” she told Wright. Watch (part of) “No Tears Left to Cry” below.